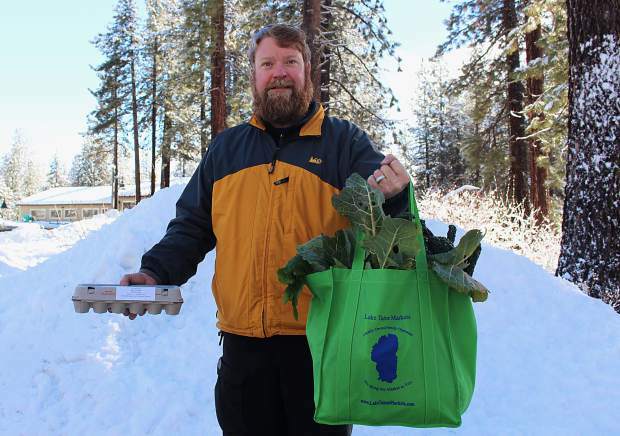 Steve Rozier delivers a bag of organic veggies and a carton of non-GMO, cage-free eggs in South Lake Tahoe. 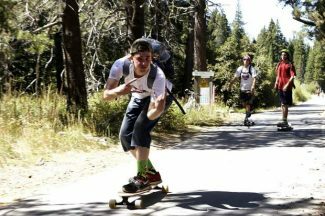 Delivery is free from Incline Village to the south end of South Lake Tahoe city limits. Additional charges apply for delivery outside this area. Visit www.laketahoemarkets.com or www.facebook.com/LakeTahoeMarkets for more information. ZEPHYR COVE, Nev. — Just-harvested produce, cage-free eggs, grass-fed beef, local honey and more delivered each week to your front door — for free and during winter — at Lake Tahoe. 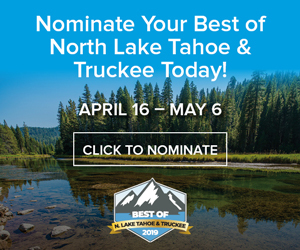 Every Thursday, Jill and Steve Rozier of Lake Tahoe Markets pack their four-wheel-drive vehicles with goods from their farming and ranching partners, and head in opposite directions from Zephyr Cove to deliver winter market boxes around the lake. The Roziers, who organize the warm-weather farmers markets at Kahle Community Center in Stateline and Lake Tahoe School in Incline Village, work with a half-dozen of the same farmers during the winter. This winter, the Roziers have expanded their offering to include non-GMO, cage-free eggs; grass-fed beef from Minden-based Bentley Ranch; wild-caught seafood from FreshWay Fish; and handcrafted pasta sauces from Gardnerville’s Italian Hearts. Lake Tahoe Markets offers a variety of fruit and vegetable box sizes, ranging from $15 – $43, and with the option to add on those products plus limited-edition goods like raw organic walnuts. Unlike a traditional CSA delivery service, Lake Tahoe Markets allows customers to cancel, suspend or adjust their subscription anytime, or simply order with no commitment on an as-needed basis. 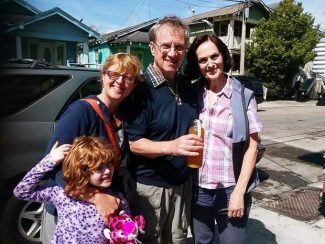 “Each week I send out an electronic newsletter with recipe ideas and nutritional information for what’s in the bags,” said Jill. She also actively posts on the company’s Facebook page to keep people inspired in the kitchen. The delivery service is only offered in the winter because the Roziers want to encourage residents to get out and experience the weekly farmers markets. “But in the winter, we bring the markets to you,” said Jill.